Born at Moscow, Russia on 27 July 1894, he graduated from the University of Moscow. During the First World War, he served in the Russian artillery, being captured at one point by the Bolsheviks and escaping on skis. He later served with the British Expeditionary Force as a Lieutenant with the Royal Field Artillery. After the war, he attended the University of Braunn in Czeckoslovakia, graduating in 1924. He came to Western Canada in November 1926 and worked on a Manitoba farm for the first winter. Through the intervention of C. H. Donoghue, Professor of Zoology at the University of Manitoba, he was hired by the Biological Board of Canada and assigned with Ferris Neave to study the biological conditions of Maligne Lake in Jasper National Park. This resulted in the first successful stocking of the lake with trout. Over the next several years, he carried out pioneering studies of the environmental conditions in prairie lakes and the fish species inhabiting them. Bajkov continued his studies at the University of Manitoba, receiving a Master of Science degree in 1927 and a PhD in 1931. 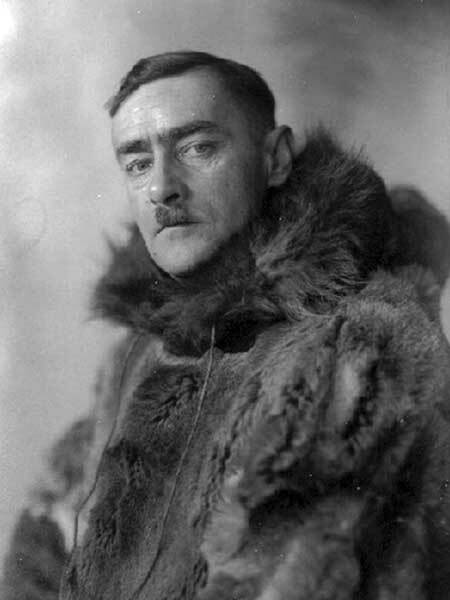 In 1930, when the natural resources of Manitoba were transferred to provincial jurisdiction by the Canadian government, Bajkov was seconded by the Biological Board to study lakes in Saskatchewan and Manitoba, with his principal work being on Lake Winnipeg. He also investigated the stocking of fish in Clear Lake of Riding Mountain National Park. In 1929 he established the first freshwater biological research station in Canada, at Gimli on Lake Winnipeg. He worked there during the summers of 1930, 1931 and 1932 using the schooner Breeze, which was lost with its crew of two in late 1933. Soon after, Bajkov left Manitoba to join the staff of the Dominion Biological Station at St. Andrew’s, New Brunswick. He later worked at a variety of sites in the USA, including Mississippi, Kentucky and Oregon, and he also worked at Churchill, Manitoba. Near the end of his life, he lived at Milwaukie, Oregon. He died at Nanaimo, British Columbia on 25 September 1955. He is commemorated by the Alexander Bajkov Award given by the Lake Winnipeg Foundation to people who have worked to improve the water quality of Lake Winnipeg. Bajkov, A. c1927. Investigation of the Quill Lakes, Saskatchewan. Unpublished report to the Biological Board of Canada. 5, 20 p.
Bajkov, A. c1927. Report on Clearwater Lake near The Pas, Hudson Bay Rly. Unpublished report to the Biological Board of Canada. 24, 131 p.
Bajkov, A. c1927. Report on the alkaline lakes of Saskatchewan. Unpublished report to the Biological Board of Canada. 21, 3 p.
Bajkov, A. & A. Mozley. 1927. Some plankton organisms from Lake Brereton, Manitoba. Canadian Field-Naturalist 41: 84-85. Bajkov, A. & F. Neave. c1927. The lake sturgeon (Acipenser fulvescens Rafinesque). Unpublished report to the Biological Board of Canada. 20, 31 p.
Bajkov, A. c1932. Whitefish population in the prairie lakes. UnpubIished report to the Biological Board of Canada. 7 p.
“Fish expert is going east with Dominion staff,” Winnipeg Free Press, 14 October 1933, page 38. “Alexander Dimitrivitch Bajkov” [Obituary] by F. Neave, Progress Reports of the Pacific Coast Stations (Fisheries Research Board of Canada), volume 105, page 26, 1956. “Alexander Dmitrovich Bajkov” pp. 134-135 In The Aquatic Explorers: A History of the Fisheries Research Board of Canada by K. Johnstone, University of Toronto Press, Toronto, 1977.